Every Marissa from Rae Gun Ramblings puts together Happy Harry Potter, a crafting and recipe series all based around Harry Potter. Some of my favorite bloggers get together and make Harry Potter tutorials in honor of Harry’s upcoming birthday. It is where I get my best ideas and I look forward to it every year! 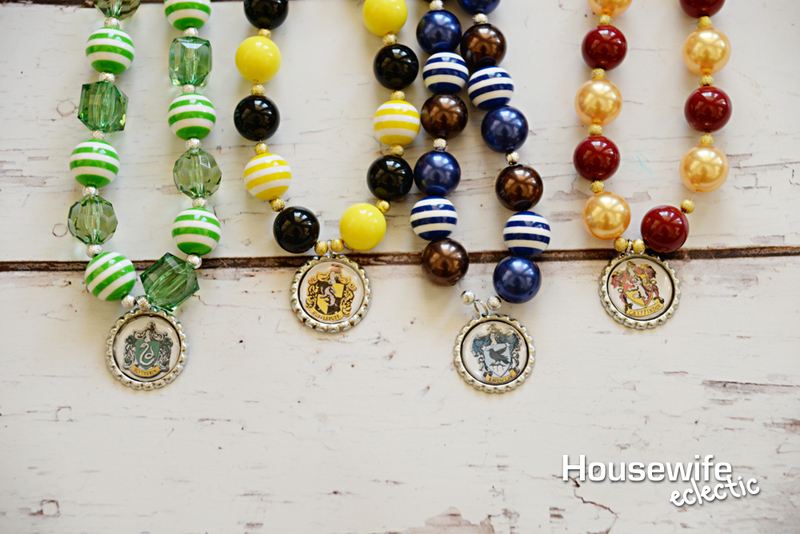 This year, for part in the series, I partnered with Fizzy Pops to bring you these darling Harry Potter House Necklace. We just so happen to have one of each house in our own house, so these were perfect for our family! 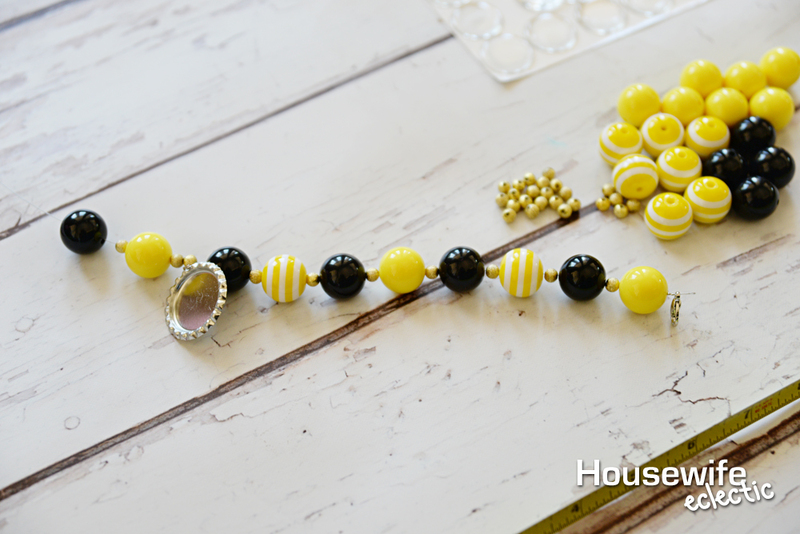 I found everything I needed for these House Necklaces from Fizzy Pops. They have an amazing selection. 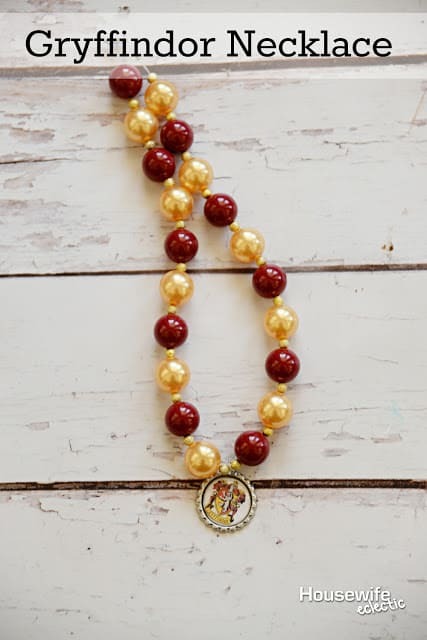 Here is what I used for these necklaces. 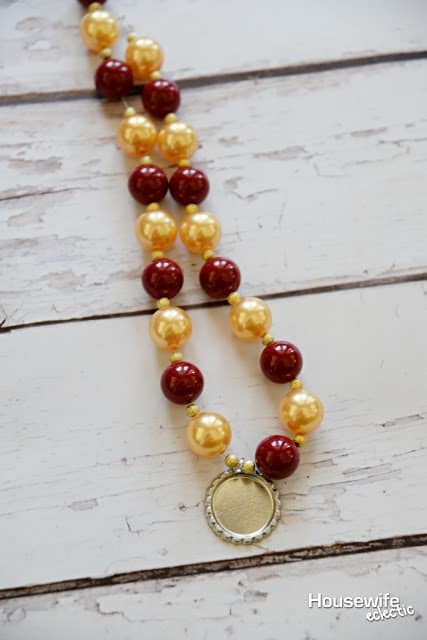 First you will need to cut your wire the desired length of your necklace plus 1.5 inches on each side. My wire is 16 inches long, plus the 1.5 inches on each side, for a total of 19 inches. Close a 6mm jump ring and slide it on the end of your wire. 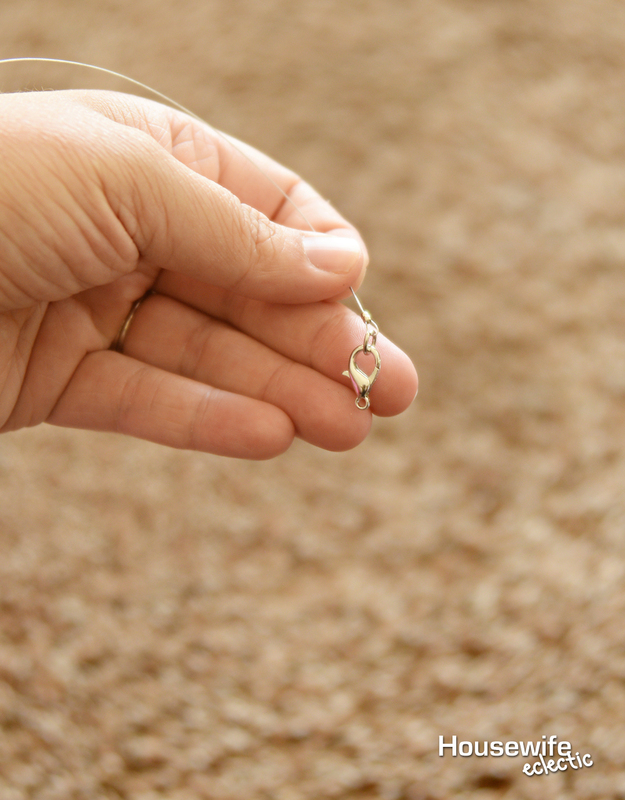 Loop the wire around the ring and then slide two crimp beads over both sections of wire. Use a pair of pliers to crimp the crimp beads down until they are tight and flat. You can also add an extender chain at this point, if you want to. 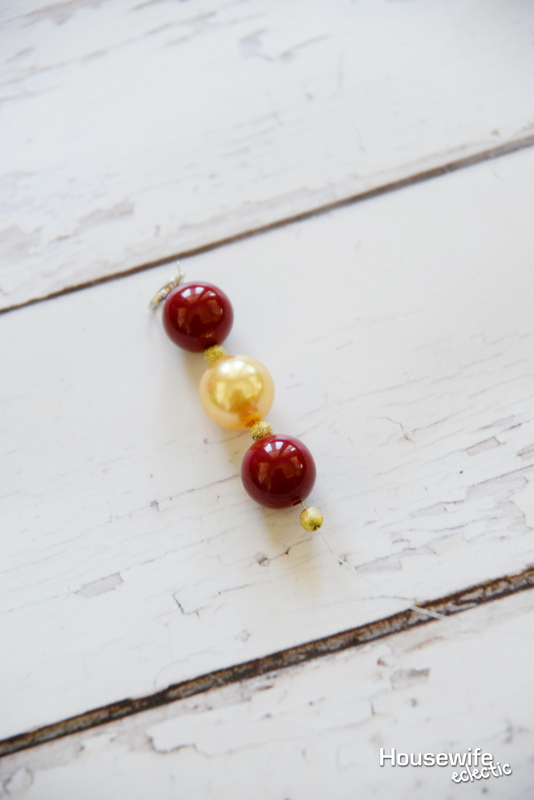 For detailed instructions on adding an extender chain, check out the Fizzy Pops tutorial here. After your beads are crimped. 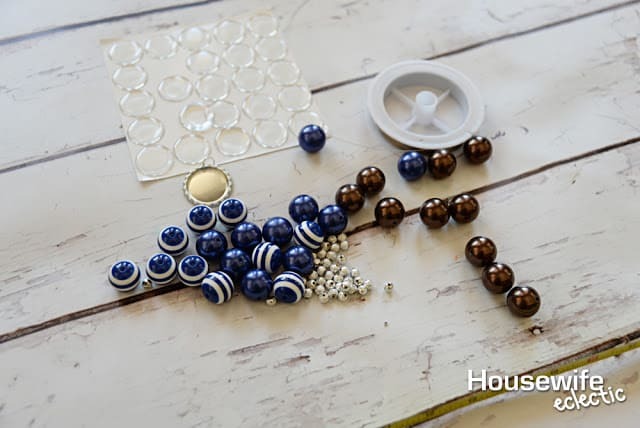 you are ready to add your necklace beads. Here are the necklace patterns. Slide a lobster clasp onto a 6mm jump ring and then close the jump ring. Slide the jump ring onto the wire and then double back the wire through the crimp beads and a couple extra of the necklace beads. Crimp the crimp beads until they are tight and then trim the excess wire. You necklace is now ready to add the image to the center! I did a google search for each of the house crests. I cropped each crest to be about 3/4 of an inch high. 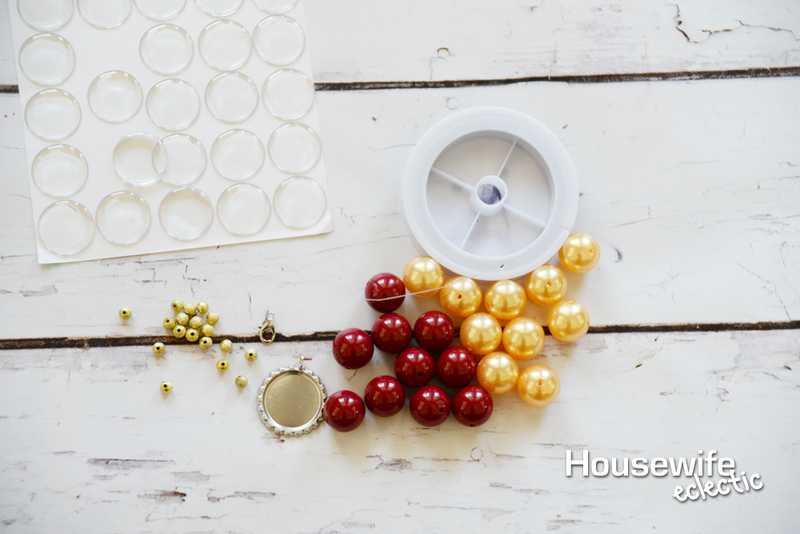 Use a 1 inch circle hole punch to punch out the image after it is printed. Place an epoxy sticker on top of the image and rubbed the back to make sure all air bubbles were gone. 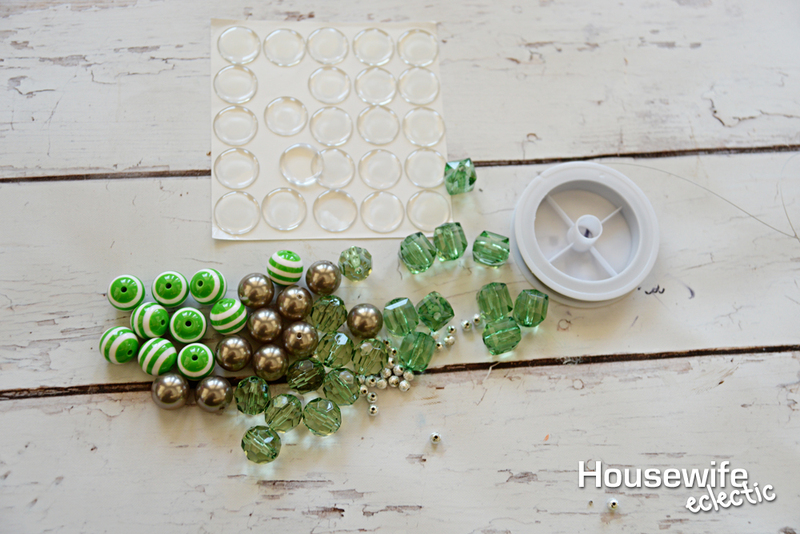 Add a small amount of a strong glue (like E-6000) to the bottle cap and gently press your image with epoxy sticker to the bottle cap. 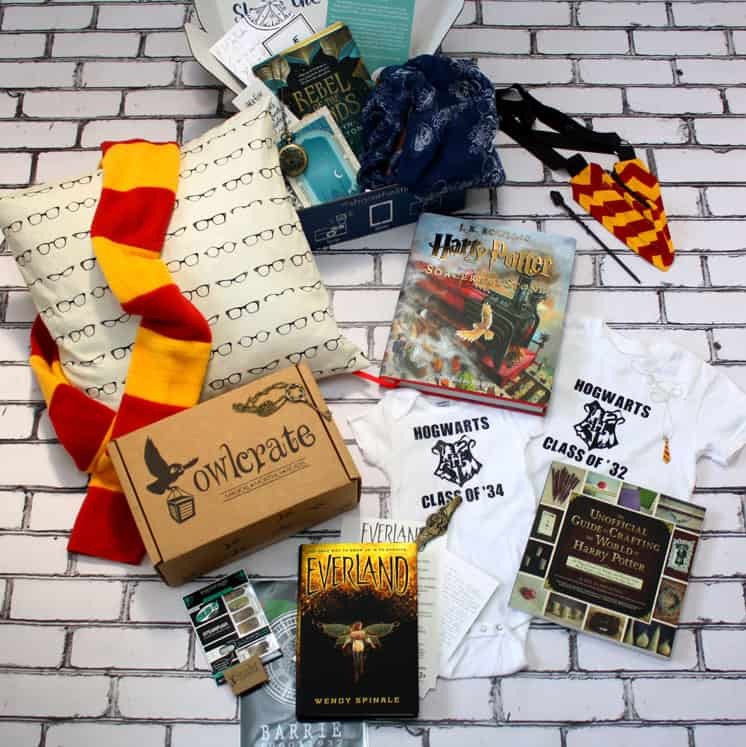 As part of Happy Harry Potter, there is an AMAZING Harry Potter themed giveaway going on right now. Enter below! This is so creative! Totally reminded me a military related meme I saw the other day. I am going to share it with my MilBlogging Buddy group (it was about getting orders and where you'll be stationed. They wish for Gryffindor and get Slytherin instead LOL). So adorable! I am sure everyone will love them. My students read HP while in my class and they were never so quiet as when I was reading this book to them! These necklaces are so cool and definitely have the whole Harry Potter vibe to them. I love the different color beads. I love love love harry potter. My eldest son, who just happens to be 11, and I are the biggest Harry Potter nuts. Entered the comp. These are so creative! I am not a very crafty person when it comes to jewelry. 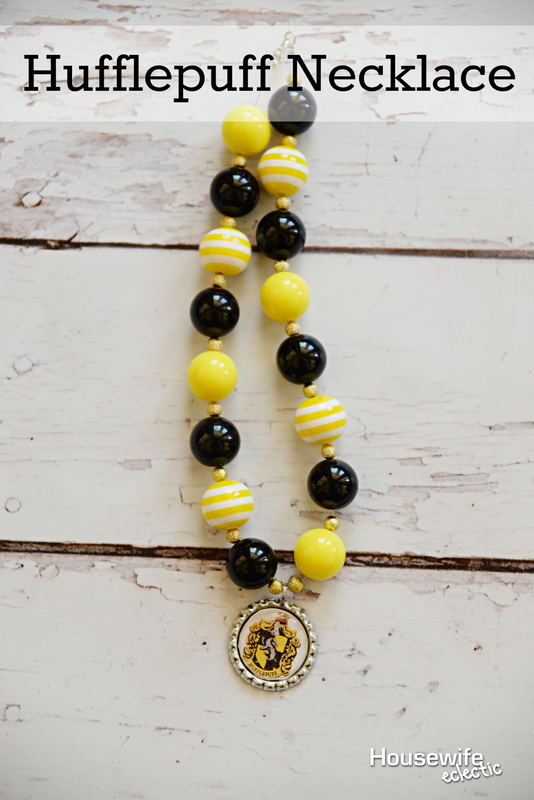 But when I was a kid I loved making necklaces! This are so cute! My nieces are coming this summer to the house and this can be a great activity. For them to create necklaces inspired on their favorite movies! I have to say, the ravens claw is my favorite. 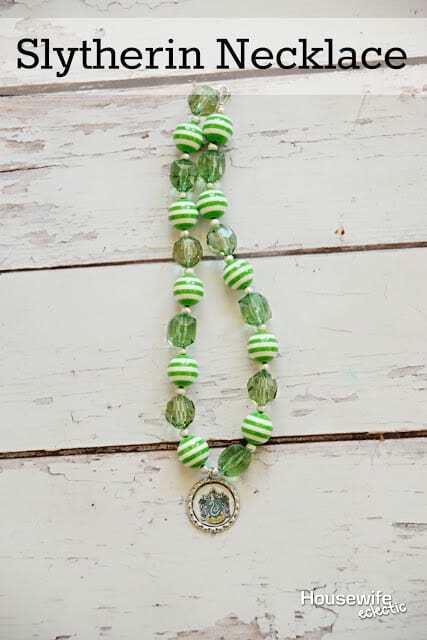 I may very well have to make one for my daughter for Christmas as she is the biggest Harry Potter fan I know! I am afraid I would want to keep it for myself! I'm not a Harry Potter fan, but I love these bracelets. They are so creative and unique. Seems like a great way to bond with other Potter fans. My sister is a huge HP fan… to the point of having everything even closely related. This is the ultimate gift for her. This is such a fun idea. We've had Harry Potter parties and this would have been a perfect activity. EEEEP these turned out insanely cute. Can't wait to show the nieces! 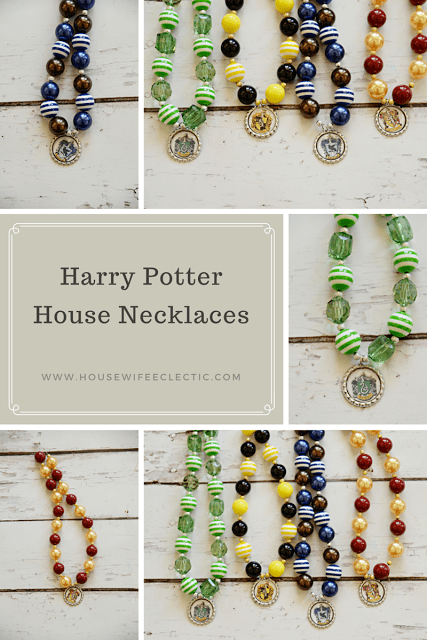 Harry Potter is huge in our house and it would be nice to have these necklaces! I'm sure my daughter will love them. They will make a great gift to other fans as well. My favorite will always be Gryffindor. What a fun giveaway this is! 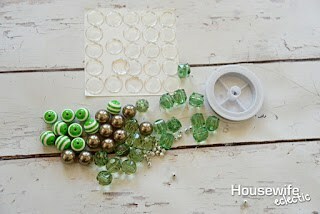 I think this is so creative and would make great party favors! Some of these look good enough to wear with evening wear. I must confess that I don't know a whole lot about the characters in Harry Potter, so I am kinda lost other than that. This is absolutely awesome! I know some harry potter fans that would go crazy for this! Oooh, I love this! 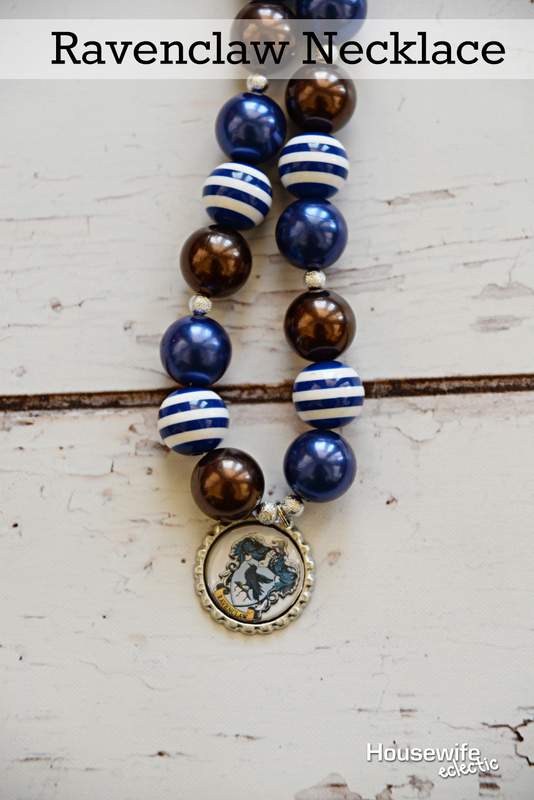 I'm gonna make myself a Ravenclaw one! Thanks!! What a clever idea to make theme necklaces! I'm sharing this with all my Harry Potter fan friends! These are so cute! They would be fun to make at a birthday party. What an amazing idea!! I have some friends that would love these as gifts no doubt! I can't get over how good the bottle cap pendant looks with the house crest inside.